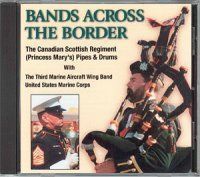 The Pipes & Drums CD "Bands Across the Border" was recorded with the Third Marine Aircraft Wing Band, United States Marine Corps. 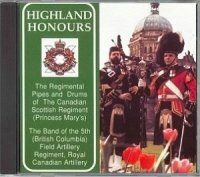 It has recently been released in the United States by Altissimo Records under the title "Canadian Pipes & American Brass". Though no longer published, used copies of the band's first CD are still sought after by military music collectors. The recording was published originally on cassette tape in 1989, and three years later it was re-released as a CD.